Leading provider of Aging, Mental Health and Rehabilitative Care. term care and assisted living facilities. that meets local community needs. “We initiated a long‐term planning process last August,” said Sister Sandra Shannon, General Superior. their community after four Sisters arrived from Montreal in 1861.
work ahead, and that identifying the potential site for the new home is very much an early milestone. Subscribe to our eConnections Newsletter! 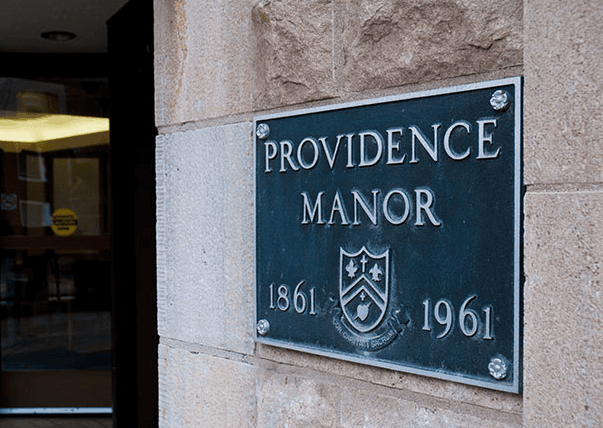 Sign up for the latest from Providence Care. Today is the day! We are busy setting up at Providence Care Hospital for our annual Cake Auction and Raffle! Stop by from now until 1 p.m. and bring a sweet treat home just in time for Easter. All proceeds support @UHKF. Dr. Donnelly @cathfrymire presenting on how different health science professions define clinical reasoning. Can you spot our friends at @providence_care being streamed in? Happening now - Recruitment Specialists from Providence Care and @KingstonHSC are at Portsmouth Olympic Harbour for the @keysjobcentre career fair! Stop by and learn more about working in #healthcare in #Kingston. The PCH Pharmacy team is celebrating Pharmacy Awareness Month. This year, the theme is "Your Hospital Pharmacy Team: Your Trusted Medication Experts". The PCH pharmacy team is made up of registered pharmacists, registered pharmacy technicians and pharmacy assistants. From our team to yours, #HappyInternationalWomensDay! These are just a few of the hundreds of women we are fortunate to employ at the hospital, home and in the community. If you work for Providence Care, show your support for #IWD2019 by snapping and pic and posting it below! If you stop by the Cafeteria at PCH you may notice a bright, new addition! In 2015 the public was invited to submit original photographs that reflected the design elements of Providence Care Hospital's inpatient wings. Showcased are the finalists and winners of each category. Today’s #KNRC2019 was a huge success and could not have been done without the multiple organizations who pulled it together! Thank you @KingstonHSC @KFLAPH @whatsinsideslc @queensu and @providence_care and of course the rest of the team at @RNAO_Kingston! Well done all! © Copyright Providence Care. All rights reserved.